Sell your product or service in Spain with the professional help of NetConsulting. 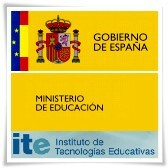 We have been working for 10 years with international companies that want to offer their products or services in Spain. We are specialized in Corporate Webdesign, Internet Marketing and Social Media Marketing. NetConsulting offers you ten years of expertise in succesfull Internet Marketing and Webdesign. According to statistics over 90% of all new visitors to a web site originate from major search engines such as Google, Bing, Yahoo and others. 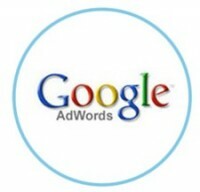 It is very important that every site ensures that their search engine exposure help their visitors to find them. We place your website with Spanish Keywords in the most important search engines using professional Optimisation. We have many years of experience in setting up and managing highly successful Pay-Per-Click (PPC) campaigns for a variety of businesses. We ensure cost effectiveness by choosing highly relevant and commercially viable keywords which are pointed to most relevant and converting pages on your website. We create, manage and optimise your advertisements in Spanish in the most important search engines, right where your customers search. The true power of social media comes from the ability to create a community around your company and create digital conversations with your customers and clients. Our approach is to optimise your social media presence in order to increase your company’s page ranking and sales, giving tangible results. NetConsulting values integrity, honesty, and transparency and vows to work as hard as possible for our clients to make sure they are successful in the social media world. 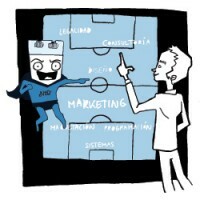 We offer professional management of business accounts in social networks in Spanish and we manage your blog in Spanish. We can translate your existing site in Spanish, offer you a new design or create individual landing pages in Spanish. NetConsulting is specialized in professional services for your Internet Project. 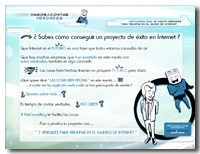 NetConsulting offers individual solutions in Spanish for your Internet Projects. Our solutions are tailored to your needs, because the success of our customers is our success. If you want to market your products in Spain, we are the right partner. We are in the market for 10 years and we can help you to promote your business in Spain through the Internet. 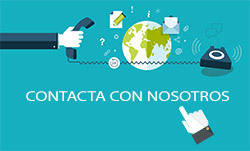 You can contact us in Spanish, English, German or French. Contact us right now, we will be happy to answer your enquiries: English contact form.